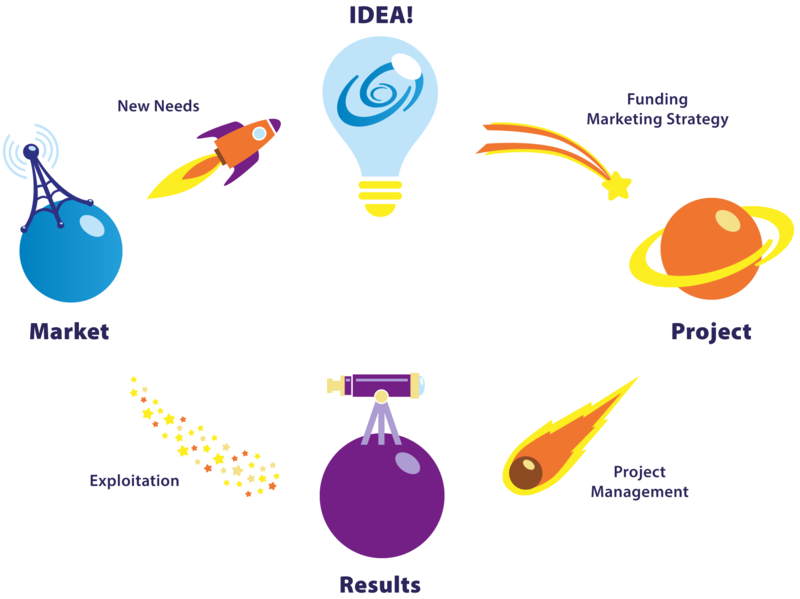 AAVANZ provides Innovation Consulting Services for SMEs and start-ups on the set-up of innovative projects, preparing their market strategy, raising R&D and innovation funding and management of such projects successfully. AAVANZ builds on an experience base of more than 17 years of involvement in RTD activities with the European Commission (from FP5 to Horizon 2020), European Space Agency (ESA ARTES Program) and structural funds in Portugal (PRIME, QREN and PT2020). Our multidisciplinary team supports the development of new products, processes and services in innovative ICT systems, Aeronautics, Space, GMES, Security, Transport, Environment, Energy and Health. In the European Union there are several mechanisms to support innovative and R&D based organizations, these mechanisms typically consist of subsidies to conduct far-from-market research and to stimulate the creation of new companies and increase overall R&D investment. AAVANZ provides expertise on the set-up of these processes and guides customer companies from the initial idea, to the set-up of administrative, financial and technical forms, and, after successful funding helps the customer company to the project execution. A different set of skills is required to manage R&D and Innovation projects and AAVANZ also provides services to help customers identify, study, develop, protect and exploit new technologies and ideas. These services can be applied horizontally, e.g. in tourism, agriculture since the focus of the company is on innovative ICT processes, and not in one specific sector or technology.